Ummmmm yeah, this Drika B bag is hot! And can you believe it's only $72!? I thought it would cost so much more than this. Affordable hotness kurlies, jump on it! I luv the design and I'm such a sucker for tote bags. I WILL be making a purchase in the near future. Check her etsy shop: http://www.drikab.etsy.com/ to see more of her designs. 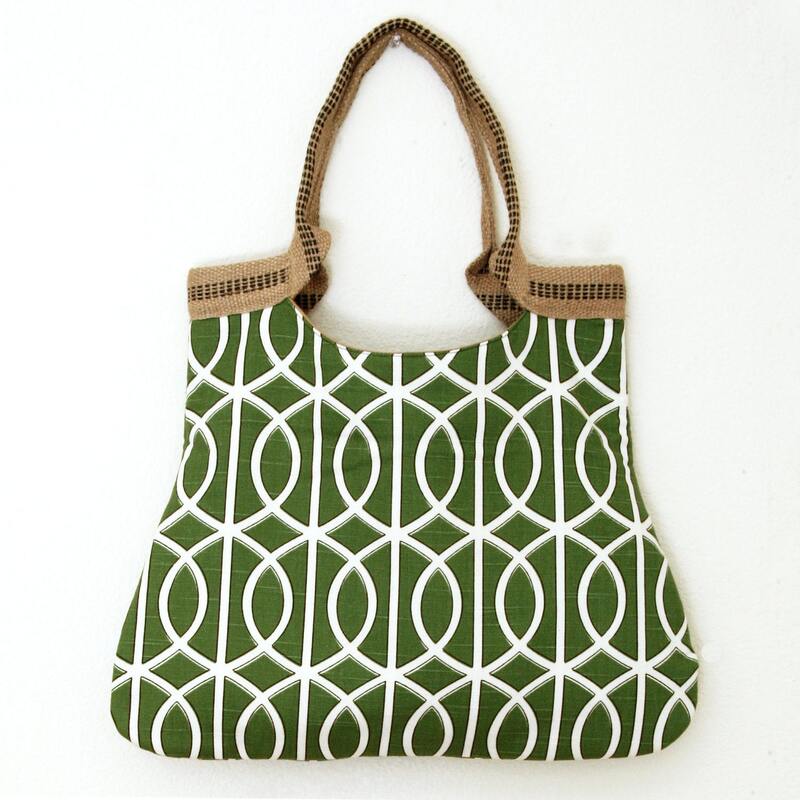 Ooo, this is cute and it combines two of my favorite things: that grass green print and burlap looking material!